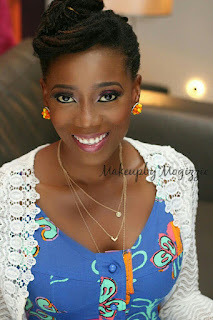 Tosyn Bucknor's Blog: #Beauty Glad i finally got to use my purple LMC lipstick! #Beauty Glad i finally got to use my purple LMC lipstick! Ever had something that you like but never know how to use? For me, it was the purple lipstick i got from LMC Cosmetics. The owner had come on my show to give out some quick make up tips (getting ready in a jiffy) and she was sweet enough to give two lipsticks and two lipstains from the collection for my personal use. Well i had used the others (till i finished one), the purple one i had always been too shy to use. Now i am in no way a make up guru and i leave face beating to the professionals so when i do my own make up, i play safe. Pink, brown, that's my safe place. 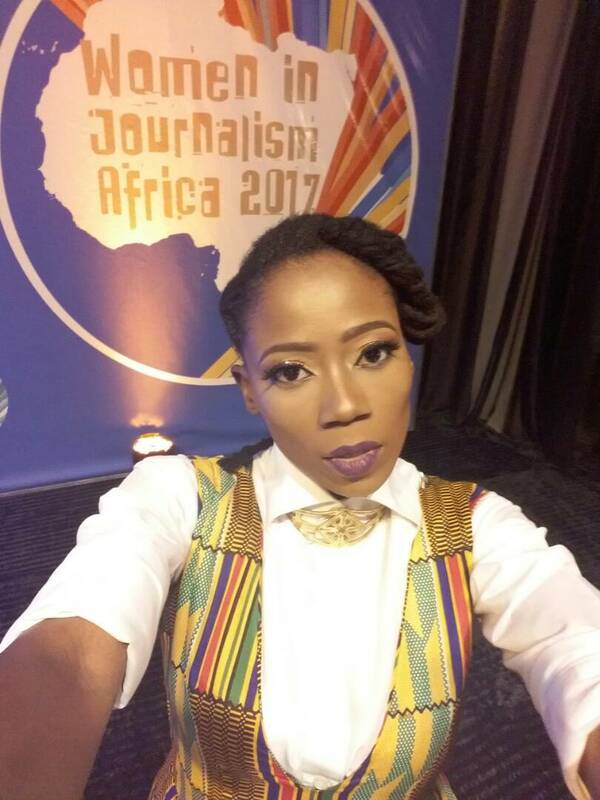 So how lucky was i that after getting styled for hosting duties for Women in Journalism 2017, Modupe of Makeupby Mogizzie looked at my lipstick collection (i have a cold sore so we chose not to use any of hers), and without being prompted, chose the purple! Here it is, complete look!. Do you like?